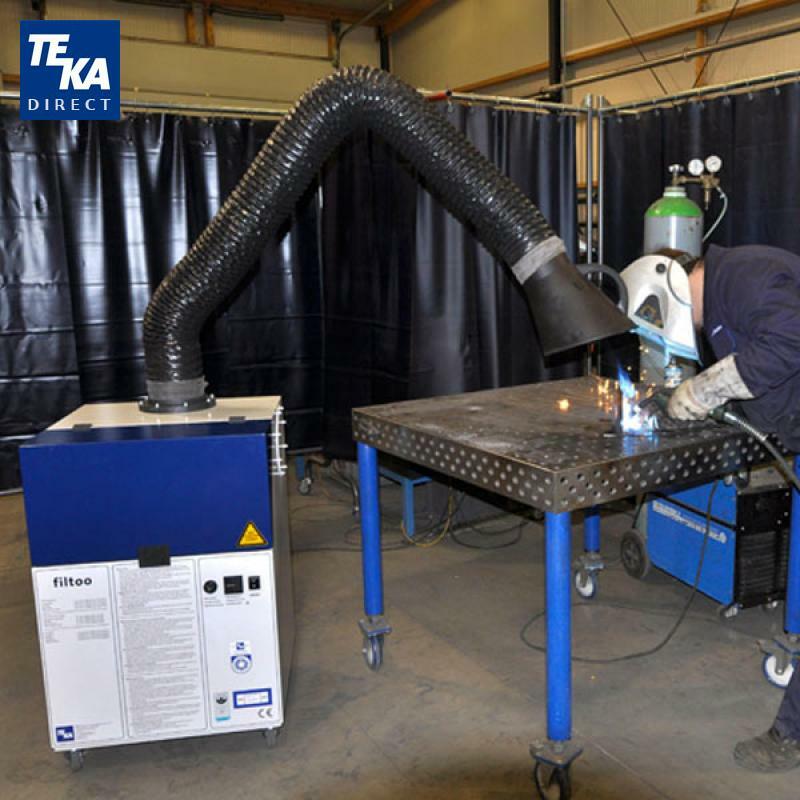 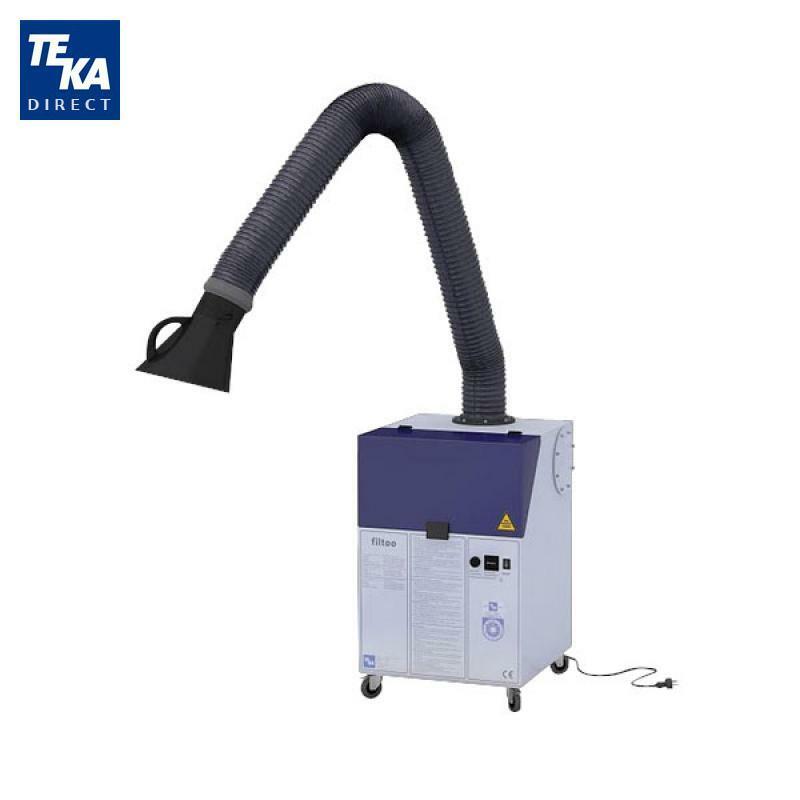 FILTOO is a state of the art, mobile filter unit that can be used for the filtration of fumes, dusts, and even gases.It has a separation efficiency of >99.9%. 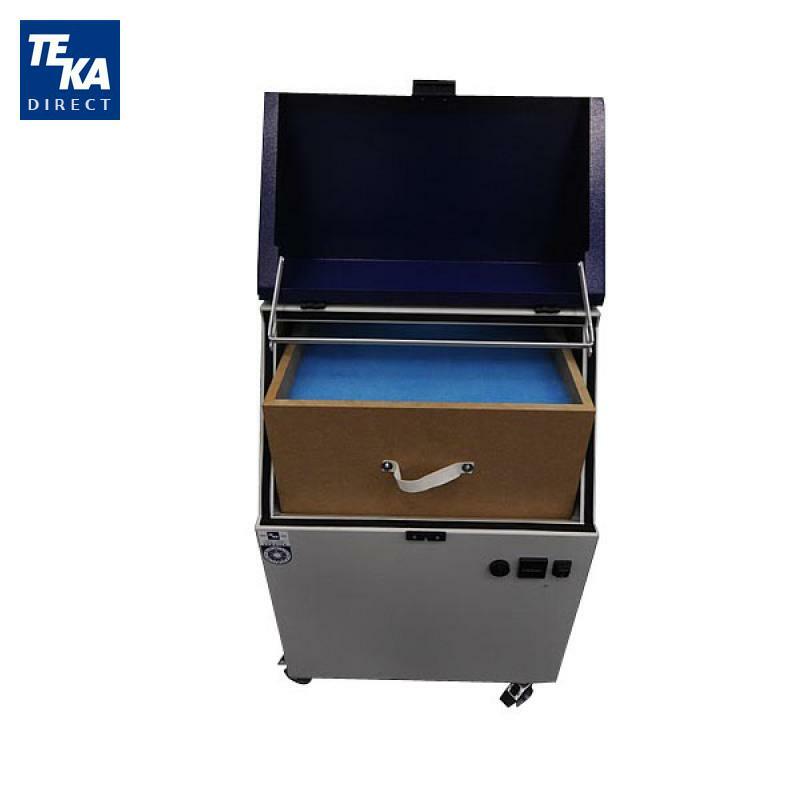 Robust and solid, it is built with a sturdy steel sheet construction and is powder-coated inside and outside. 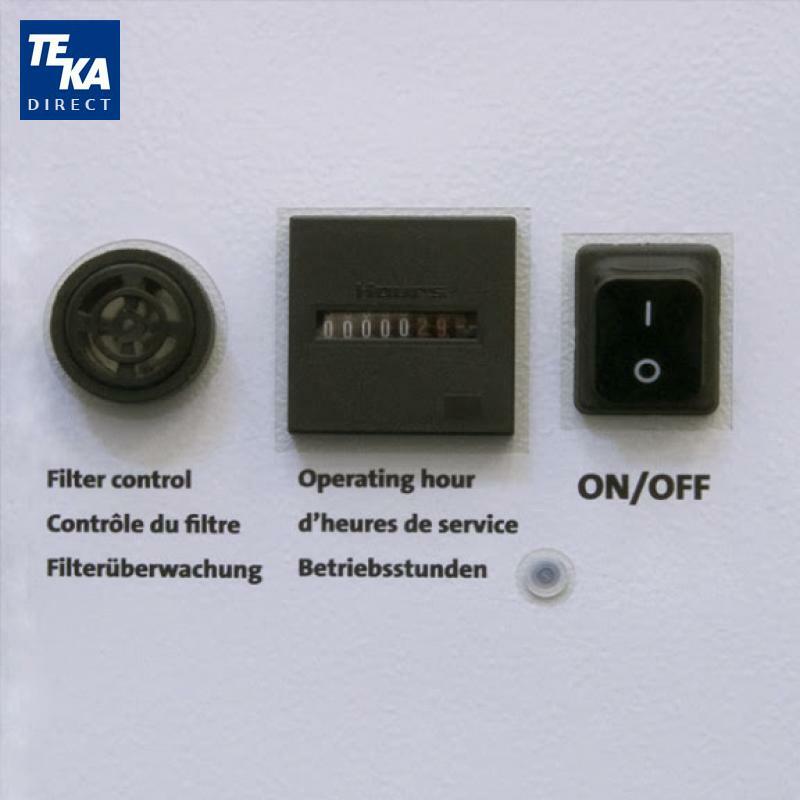 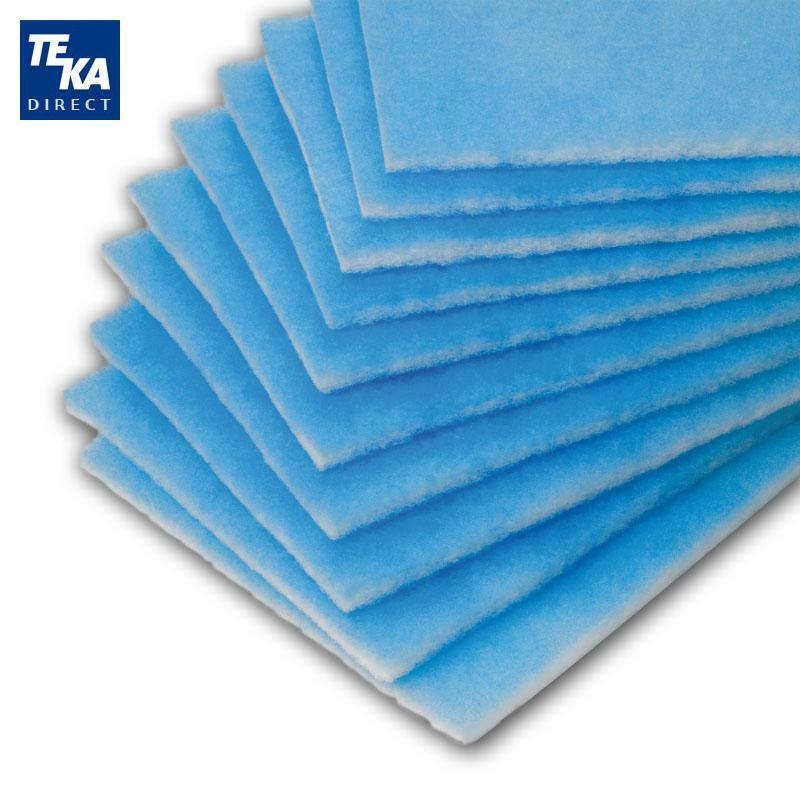 Filter elements are accessible via a maintenance flap. 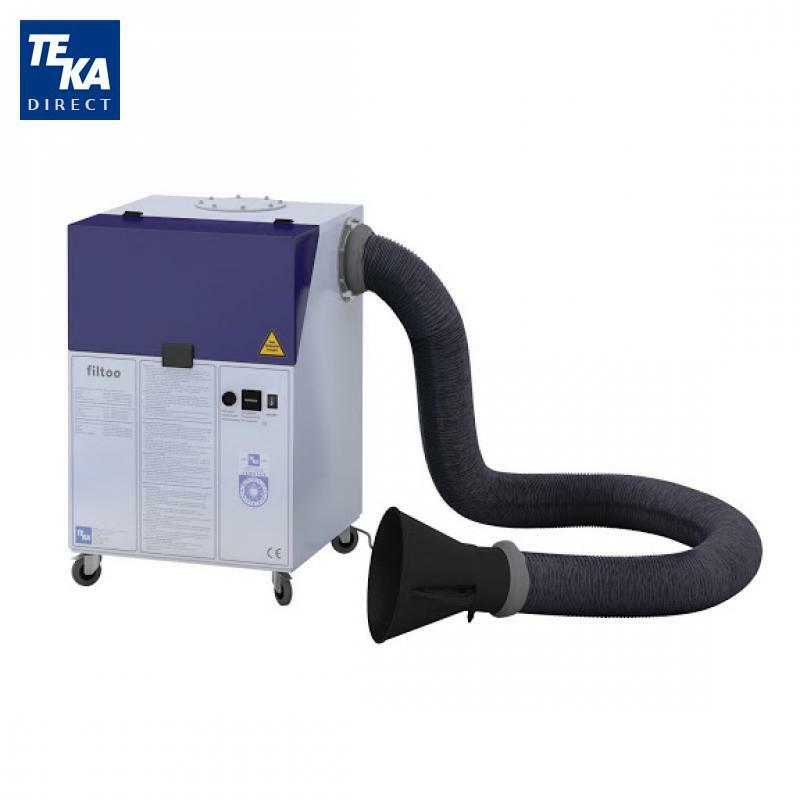 FILTOO comes with a flexible 9 ft suction arm. 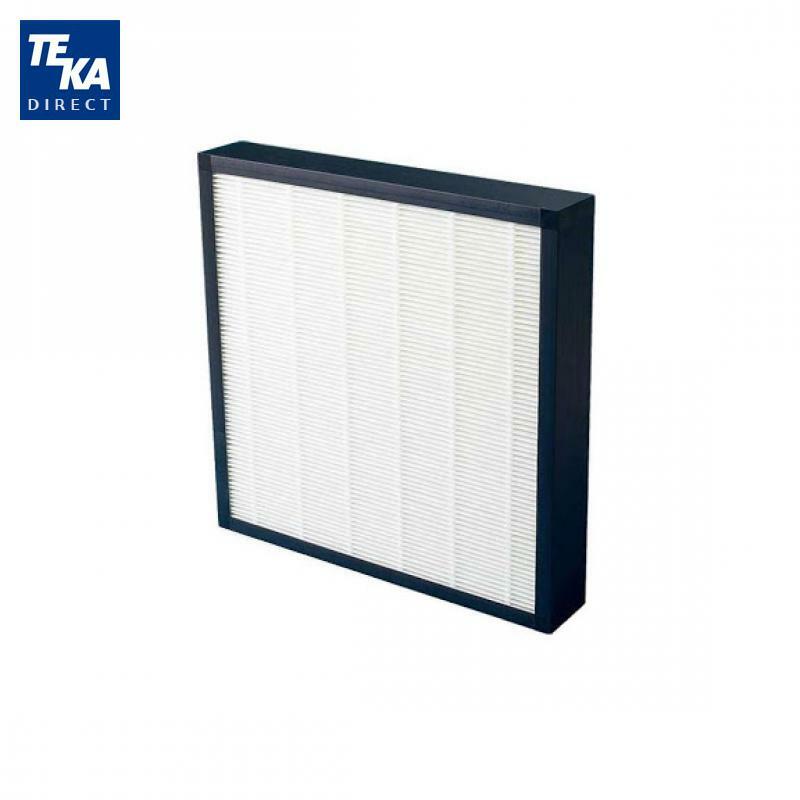 Best value for a great filter system.